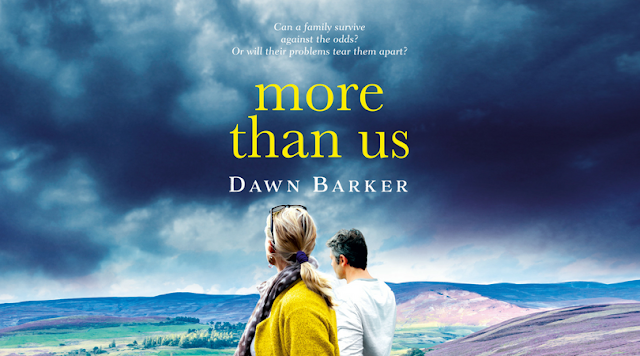 It's my stop on the More Than Us blog tour and I'm stoked to be welcoming author Dawn Barker to The Writing Greyhound! First of all, thank you for having me on your blog today! My pleasure! So, let's get started. How did you first become interested in writing? I have always loved reading and writing; in fact, my mum recently sent me a copy of my ‘first book’ which I wrote with my pen pal when I was about nine! 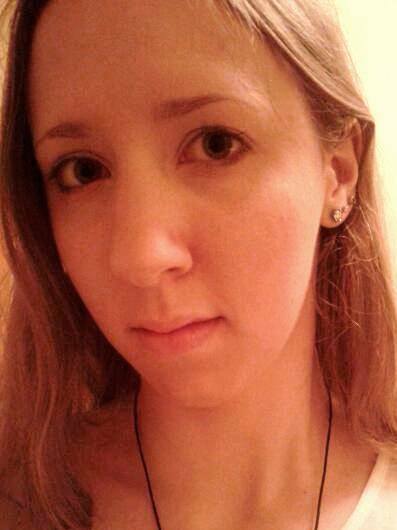 I loved English at school and considered studying Literature at University but ended up choosing to study Medicine. When I was working as a junior doctor, I enrolled in an evening course at the local University on creative writing, and also started writing non-fiction articles on parenting and mental health (as I work as a psychiatrist now) and then finally, when my first child was born, and I was on maternity leave, I began writing my first novel, Fractured! More Than Us is my third novel, and I’m so pleased that I get to do what I have always loved. Why did you decide to write women’s fiction? It wasn’t a conscious decision. All of my novels have been based around issues that I’ve been confronted with in my life, either personally or professionally, and so I just write about topics that make me feel unsure or intrigued. That has been postnatal mental illness (in Fractured), surrogacy (in Let Her Go) and now, addiction, and mental illness in children in More Than Us. I also know that men read my books too, despite my books usually being described as women’s fiction! When I start writing, I aim for 500-1000 words per day, Monday to Friday. I don’t plan what I’m going to write, I just start with an idea, or a character, or a setting, and write. I don’t read back what I’ve written or allow myself to edit anything until I feel that I’ve reached ‘the end’ of that first, messy, chaotic draft. And then, I start at the beginning and begin rearranging scenes, writing more, deleting others…I usually write at least six drafts before I turn it in to my publisher, though each draft gets quicker and easier! For me, it’s definitely finding the time. There’s so much about writing that is incredibly hard; it’s a year’s full-time process for me, with lots of frustration, doubt and tears involved! But that’s part of the process of any job and makes the great moments greater. I am now working as a psychiatrist again and have three young children, so find it increasingly difficult to protect some daily writing time. A large writing project like a novel is never ‘finished’ and so when I’m in the middle of a project, I struggle with feelings of guilt that I should be writing! I love the satisfaction of jumbled ideas in your head coming together on the page. There’s nothing like the feeling when your fingers are typing fast and trying to keep up with your thoughts as a story is forming. It’s a fascinating process! David Vann is one of my favourites; I always rush out to buy his books. He writes such dark family tragedies. I also love Lionel Shriver for her bravery in writing about confronting family issues, and Margaret Atwood for her dystopian imagination! I would just say that you must have perseverance. When I started writing, I spent (wasted) many hours researching things like getting an agent and publisher, when I should have been writing! Keep writing and finish your project to the best standard that you can before you send it out; you might not get a second chance to get in front of that publisher. And of course, read lots! There’s no better way to learn what works and what doesn’t than by reading others’ books. My day job and family! It’s been a very busy few years with the release of three books in five years, and for now, I’m just enjoying that fact that More Than Us is out there! I’m sure it won’t be long before I feel the itch to write again though; I have some ideas forming already! I’m reading some Australian friends’ books. There is a great writing community here in Western Australia and I love to support them. I’ve just read Michelle Johnston’s Dustfall and now I’m reading Natasha Lester’s The Paris Seamstress. That’s a hard one! I’d have to say that it’s Lionel Shriver’s We Need To Talk About Kevin. It was a book that shocked and inspired me. I knew that I wanted to write about a difficult topic in my first novel, Fractured, and this gave me the confidence to know that you can write about difficult topics in a way that makes people want to read them. More Than Us is available to buy now. You can stay in touch with Dawn over on Twitter! Are you planning to read the book? Let me know your thoughts in the comments below!